Living in Jordan as Expat – You are planning to move to Jordan as Expat or you live already here? Welcome to Jordan! Whether you are a tourist visiting Jordan or an expat living in Jordan, you will hear that sentence quite often, either at the airport, a security checkpoint or just while shopping down town. You will discover the different meanings later while you are here. 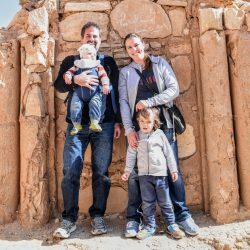 This website is about living in Jordan as Expat. Me and my family are from Germany and living in Amman, the capital of Jordan, since October 2016. I will share plenty of information that might be interesting for anybody, who is planning to live and work in Jordan or already residing here. I have already lived in Jordan for one year from 2008 to 2009, so have seen most of the touristic sites and am quite familiar with the country. I am expressing my views as an international expat living and working here, so I am neither a local nor a typical tourist or student, although many things might apply to the other, too. The site is an ongoing project and more content will be added as we go along. Enjoy your stay in Jordan and on my Site. Please Like, Share, Comment, Suggest! Maybe you saw one of the guest posts from other expats living in Amman. Maybe you are thinking of coming to Jordan, maybe you are already here. Whatever the reason is you are visiting my site, feel free to browse and get an idea of what it is like to live in Jordan. As it is not always easy to move, especially when coming from another country, I decided to focus on the initial steps to make the move easier and review places, attractions, companies or apps, be it for sightseeing, kids activities, outdoor adventures, gifts to buy, nice dinner or drinks with friends. Amman, is the capital of Jordan and the biggest city of the kingdom. Most likely, foreigners, who come to Jordan for work, will work and live here or in the near cities of Fuhays, Salt, Madaba or Irbid. The following site shall give you some information regarding orientation in Amman, how and where to rent a place, as well as information on utilities such as Water, Electricity, Internet and finally banking. These are probably the main things to get settled. Amman is build on many hills known in Arabic as “Jebal”. Many parts of the city are named after these hills such as “Jebal Amman” or “Jebal Webdeh”. Keep this in mind when you want to walk, because short distances might turn out to be quite long and exhausting depending on the elevation between the points. That also applies of course when driving in a car. Another important word you might find useful is “Wadi” meaning valley. So you know already a part of the meaning of “Wadi Rum”. The other most important things you need to know are some main streets and the circles. Aside from Medina and Mecca Street, a long street runs from East to West through the city named Zahran Street. It connects the circles “Duwar” from the first up to the eighth circle. Since street names and house numbers are not commonly used by citizens or taxi drivers, people tend to indicate nearby landmarks when they want to tell somebody where to go or where they live. Thus, it is very common to name the part of the town or a name of a big well known street, a mall, a mosque or one of the circles as a first indicator where to go. After that you go right, then right again, then left, then next to that small kiosk you turn left, after that a u-turn and than opposite you arrived…. Inshallah. For further information on how to navigate through Amman see my Post on How to get around in Amman. The first thing you will need in Jordan is a SIM card, so you can make calls and use the internet. Note that nothing relies on official snail mail and you will be identified and contacted in a most cases through your mobile number. Zain and Orange are the most common providers. To know about where to get a phone number, what you need to sign up, what are common providers and their offers, see my article on Communication. Since, you first need to find a place to live in, you might return later to that article for internet. However, since the choice depends a heavily on where you live, you should first have a look at finding an apartment and what you need to know about utilities, how much to expect, how to pay them and what else to keep in mind when renting a place. For your first days in Amman I can recommend Sydney Hotel which is a stone throw away from Down Town and allows you to explore the vivid life of the locals while being in a safe and comfortable environment that doesn’t stretch your budget too much. If you came on a tourist visa, your employer will hopefully take care of all arrangements to acquire a residency (Iqama) and a work permit. Before and or during that you might need to extend your visa. Chelsea from myammanlife wrote a short guide, how that works. However, please keep in mind to consult with your embassy, as I cannot give legal advice. When you found a place, check back on Communication for internet. Soon you will need to buy some things. Towels and shampoo, groceries or tools. See my article on where to buy what. Even though most expats opt for furnished places you might wanna exchange or swap some furniture or be in need of some more household goods and appliances. See here some options where to find these items. Since you came for a job or even if you are studying, you need a bank account in Jordan. Before even thinking of going to a any of the branches, read my article on money and banking to know what you need in order to open a bank account in Jordan. Since there are several documents and information required, be prepared. It will take some time. 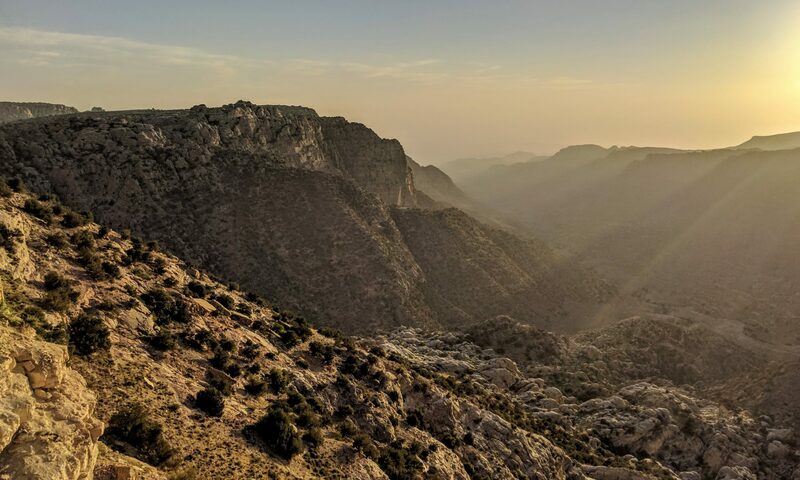 If you have been in Jordan for some time and getting bored of the everyday life, then there are plenty of things to do despite Petra, Wadi Rum and the Dead Sea. See all about travels within Jordan. Ever had a quad ride in the north of Jordan? Did you stay in one of the nature reserves, yet? Looking for some interesting restaurants outside of Amman? Eventually friends and family will come to visit you then see some nice articles about the Jordan Pass by familyinjordan.com. You want to know about the best Arabic restaurants in Jordan or some inspiration where to go with your kids? Since the Arabic cuisine has so many great dishes to offer from Starters (Mezze) over BBQ (Mashawi) to nice Sweets such as Kunafeh, Baklawa and other treats, it deserves its own section in this website. Also tea, coffee, Shisha and fresh lemon juice not to forget. Below you will find the links to the different subsections. There is a diverse range of restaurants and cafes offering anything from typical Arabic food to International Cuisine, Cake, Shisha either isolated, in a mall or in the hotels. You will also find descent food in all price ranges from ridiculously cheap to in-affordable. Feel free explore my posts about Arabic Restaurants, Drinks, Bakeries or Cake, Sweets & Ice in Amman or just browse the category Delicacies. All pictures are taken by myself, if not otherwise indicated. Most of them are probably slightly color adjusted. Some of them have been taken in the time period between 2008-2009 while the newer ones from October 2016 onward. I try to only use pictures taken in Jordan. On my site I try to stay out of topics such as religion and politics. Of course, you need to know that Jordan is a Muslim country and every day life influenced by this. It is a good idea consult other websites and travel guides, or friends or colleagues who live here about this, before making a decision whether to move here or not. Keep in mind that this is a personal website reflecting my views and therefore am not liable for the validity of any of its content or anything else that might result from that. While I strive to update the site, within a fast changing world, it is impossible to keep track of everything. So please double-check information before relying solely on one site, especially when it comes to numbers. Also, I am not endorsed by either of the companies mentioned, unless indicated. If you would like to work with me, drop me a line, email me or connect through my Facebook page.